Both Forbes and The Economist recently touted the opportunities in building with wood, advocating the new way to build is with mass timber products. The Economist article “Top of the trees” opens with a description of a pagoda in Japan, a building that has withstood natural elements such as storms and earthquakes for over 1,400 years. This remains the inspiration for many of today’s modern wood buildings. How can we build with wood in a way that will withstand rain, fire, and earthquakes? And will it be safe? So what does this mean for the future of tall buildings? The number of mass timber buildings around the world is growing, as is the height. Brock Commons, the 18 story tall dormitory at University of British Columbia recently reached a milestone in construction. 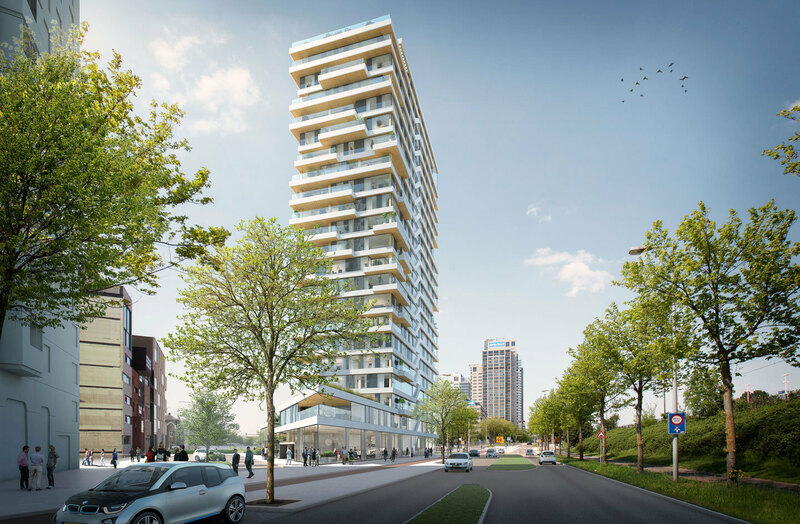 It currently holds the title of tallest wood building in the world, but will soon be beat out by the 21-story HAUT in Amsterdam. One thing is sure: mass timber buildings are here to stay.